Gladminds connect Platform (GCP) is a cloud based platform that offers a two way communication channel between brands and clients.nowadays, the GCP is ready to apply with its products: After Sell targeted at brands & After Buy centered at clients. 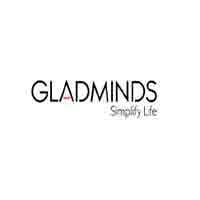 GladMinds is a SaaS company in the vicinity of client care and After market. brands are capable of reaching out the end client along with their channel partners. GladMinds simplifies communication and interactions . It results in drastic reduction in cycle time, fee and improves customer satisfaction and reliability.